A supplement for non-lactating cows in the latter stages of pregnancy. Incorporating a high quality MOS designed to improve gut condition. 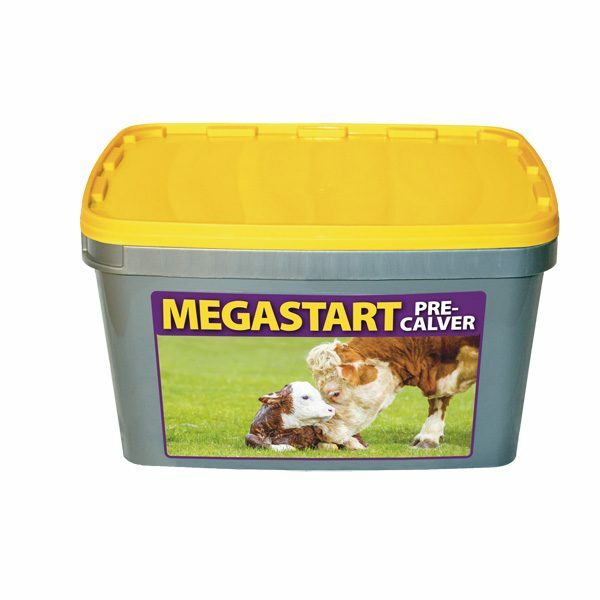 The key to a successful breeding enterprise is the production of healthy and lively offspring, using Megastart Pre Calver is a great tool to that enables Beef and Dairy farmers to achieve this. A supplement for non-lactating cows in the late stages of pregnancy. Incorporating high quality MOS designed to improve gut condition. High levels of both selenium and vitamin E for quality colostrum and optimum calf vitality. Low in calcium and high in magnesium to stimulate the cow’s metabolism and help reduce the risk of milk fever. Available in 20kg and 80kg* tubs.